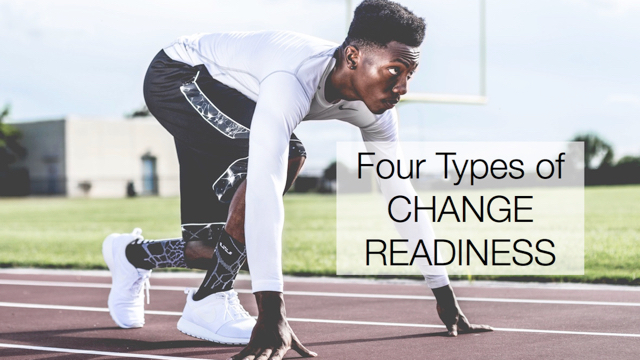 Before anyone is going to support and implement change in your organization, they must see the need for change. That is, they must feel some kind of pain or frustration from the way they currently do things. Sometimes that takes a good look in the mirror to see things the way they really are. Other times, they must realize that the grass could be greener if they made the effort to change. Write a white paper. Clarify your idea on paper. Collect articles, data, and other research that supports the change. Find stories that illuminate the need for change. Then compile it all in a succinct document, and share it with others who might act on it and pass it around. Conduct a survey. When a leader expresses frustration with an issue that you want to help fix, offer to look into the matter. Create a survey to learn more about employees’ perceptions and the underlying causes of behavior. Feed back the results with recommendations for what to do about it. Take advantage of an open door policy. When a leader invites anyone in the organization to come talk to them, assume they mean you. Prepare in advance – the points to make, the questions to ask, the outcome you want from the conversation. Tie the initiative you want to start to the leader’s goals and values. End by clarifying when you will continue the conversation. Host a brown bag lunch. Better yet, order pizza. Invite a few colleagues to attend and start an informal conversation. See who else feels the need for change, and seek to understand potential resistance. Join forces with those who want to help you get started. Call out the elephant in the room. When colleagues noticeably skirt an issue in a meeting, be the one to point out the topic that everyone is avoiding. Until the problem is spoken out loud, it will continue to go unaddressed. Change starts by safely discussing the undiscussable. Demonstrate results. Conduct a trial on a small scale. Start within the scope of your personal influence to prove the concept. Then, share the results with those who might duplicate your efforts on a larger scale. Invite yourself to present at a leadership team meeting. Find the person in charge of the agenda and request some time to speak to the group. Even if they say “no,” surely someone will be curious enough about your request to find out what is so important. Enable others to acknowledge their frustrations and challenges. Watch for opportunities to share the possibility of a better way. Create circumstances to show others the need for change. Take the initiative to instigate change. What tactics have you used to successfully raise awareness and instigate change?